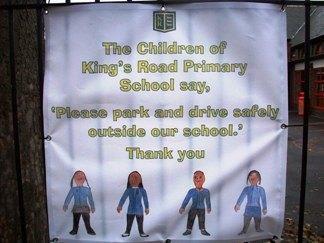 Several Year 2 pupils were resonsible for our new sign outside school which reminds drivers to take extra care when driving and parking near Kings Road School. 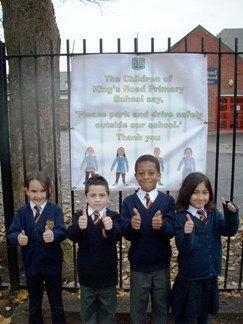 The idea came from one child who then got his friends involved by designing characters to go on the sign. Mr Lait got the sign made up and said "This was a very good idea and I hope drivers take notice."